Evenly divide the spices and cherries between 2 pint jars. Combine the water, vinegar and sugar in a saucepan and bring to a low boil. Stir to dissolve the sugar. 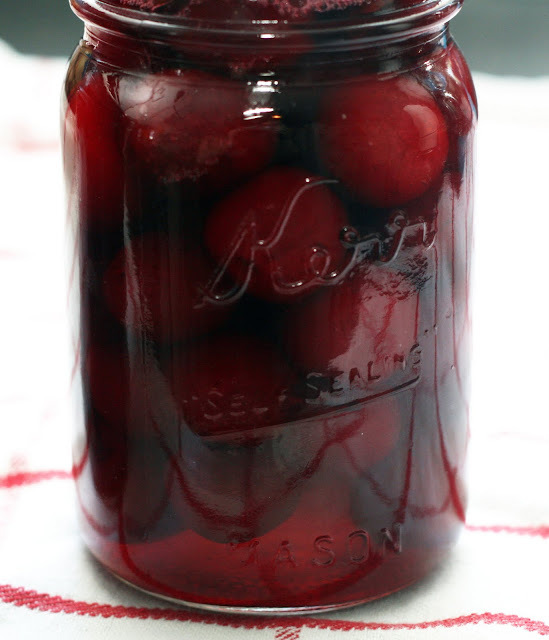 Pour brine over the cherries, leaving 1/2 inch of headspace. Remove any bubbles. Seal and process in a water bath for 10 minutes. I have been seeing more and more pickled fruits at the local fancy markets and thought I'd try my hand at making them myself. 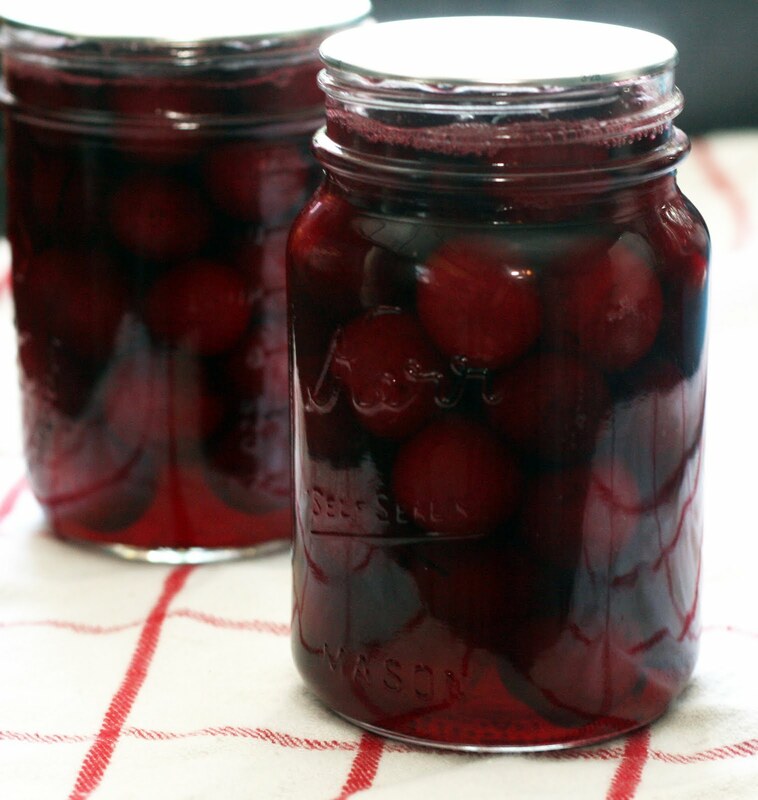 I had a pound of ripe, dark red cherries that I didn't think I'd be able to get to (the problem with cherry season is that I always overestimate how many cherries I can eat and buy yet another cheap bag every time I see them) so I thought they'd be perfect to can. It was a super small batch (I used my Ball Home Canning Discovery Kit and a regular stockpot instead of my big canner) but I think it could be doubled with success. I'm not too sad that I made only two jars though. While they are delicious and I look forward to experimenting with them, I have so many (filled) jars in my canning cabinet it is a little scary. This way I feel no guilt trying to pickle another fruit. Plus it was a super quick canning project, from start to finish, it only took about 20 minutes. Not bad for a weeknight! Place the steak in a marinating container or resealable bag. Add the marinade ingredients. Marinate for 48 hrs. Prep your grill. Spray with grill spray or oil the grate and a grill wok. Add the onions and peppers to the grill rack. Place the steak on the rack, discard the marinade. Grill, until the onions and peppers are soft and the steak is medium-rare, tossing and turning occasionally. Remove to a plate and cover with foil or 2 minutes. Slice thinly. Serve with pico de gallo, tortillas and the peppers and onions. 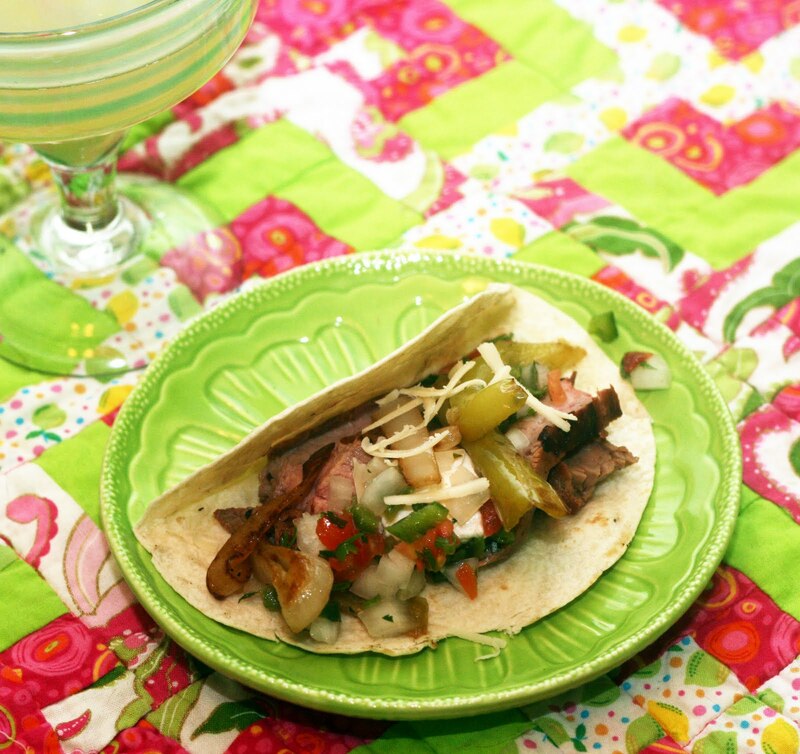 I hadn't had fajitas much before I met my husband but had gone to college in Texas where they are much more common. I think they are a fun alternative to tacos and love having an excuse to make fresh, homemade pico de gallo. They are especially easy to make on the grill because you can make the whole thing at once, even warming the tortillas if you want to. I have this tortilla warmer that keeps them warm while I grill everything else. Place the pork, soy sauce and 1 cup of the leafest bits of kimchi (and any expressed juices) in a resealable container. Refrigerate overnight. In a nonstick pan, heat a bit of oil. Meanwhile, beat together the eggs, sesame oil and Maggi seasoning. Pour into the pan to form a flat omelette. Flip once. Remove to plate and slice. Set aside. Place your leftover rice and the chopped kimchi on the countertop. Heat a bit of oil in a wok or tall sided pot. 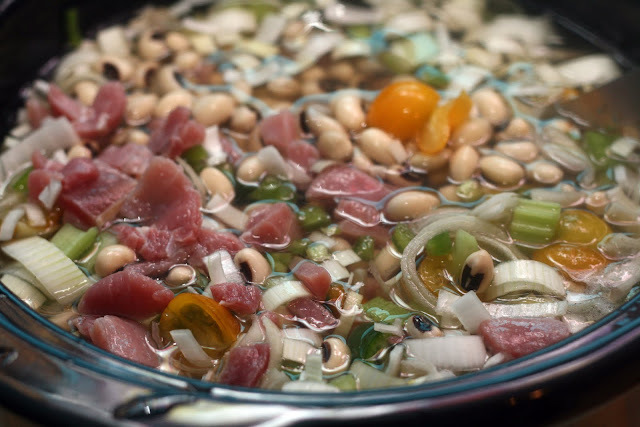 Add the the pork mixture. Add about a cup of stock or water if the mixture is too dry.Cook for about 20 minutes or until tender. By the end of the cooking time, all liquid should have evaporated. Add the rice and stir fry for a few minutes. Add the kimchi. Cook until all ingredients are warmed through. *It needs to be leftover! I just make a batch the day before I want to make the kimchi rice. I love kimchi. One day I am going to have to make it myself but in the meantime, I get it from our local Korean supermarket which, on weekends, has an area where women are making kimchi and packing it up right in front of you. It is so good. Much better than the kind that comes in jars. 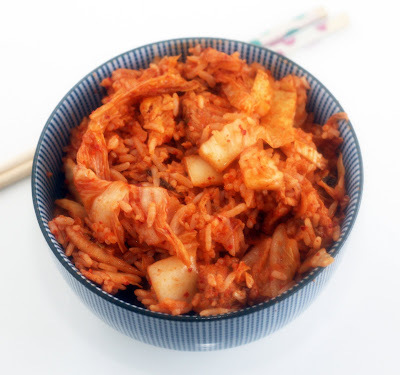 Whenever we have a big batch of kimchi, I like to use some of it to make kimchi fried rice. The basic version is just kimchi, leftover rice and egg but I dressed it up a bit and added pork. Because I can! The result was a filling, spicy, bowl of deliciousness. The night before you want to serve the dish, place the black-eyed peas in a 4 quart slow cooker. Fill it with water. Cover and allow to sit overnight. Drain, return the black-eyed peas to the pot and add the remaining ingredients. Stir. Cook on low 8-10 hrs. I know this won't come as a revelation to anyone but it is hot! Baltimore is always hot in the summer but we normally do not have so many days in a row of 100+ temperatures. I'm melting. 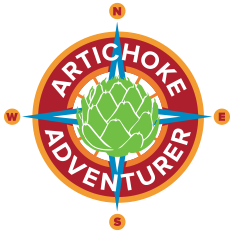 Luckily I learned two summers ago when I was developing recipes for my cookbook that the slow cooker is a wonderful thing in the summer time, especially when it is even too hot to grill. 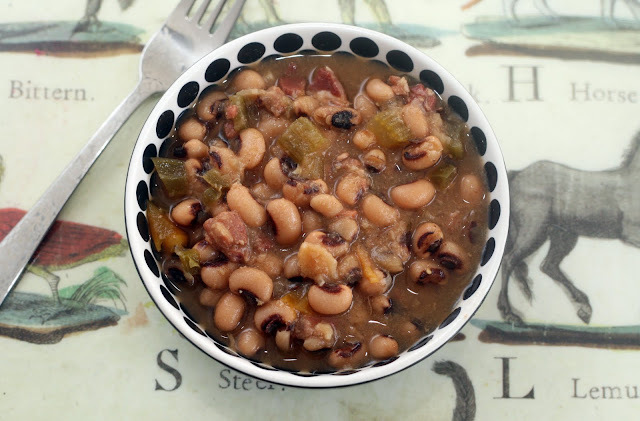 So I made this light, brothy black-eye peas dish that is, I think, the best black-eyed peas I've ever had. It is fresh tasting rather than heavy and so simple to make. I did all the prep the day before and just added it to the slow cooker in the morning. Serve as-is or over rice. Mash the beans, and the potato together until fairly uniform in texture but not to the point of paste. Gently stir in remaining ingredients. Add more cornmeal if the mixture is too wet to form into patties. Form into uniform, fairly flat patties. 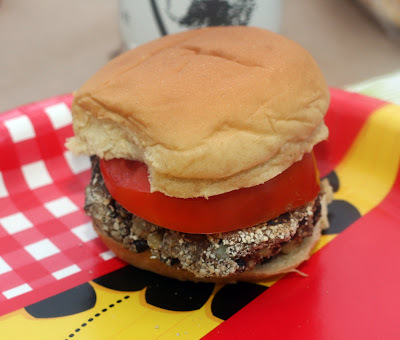 Pat on additional cornmeal or matzo meal if desired on the outside of the burgers. Place on a oiled piece of foil, brush the tops with oil and cook on the hottest part of the grill, flipping once halfway through cooking. It should take about 10-20 minutes. *I grilled my corn and potato with another meal the day before. Boiled or roasted would work as well. I like the idea of veggie burgers but a lot of the recipes I come across call for a lot of filler. Rather than rely on breadcrumbs for body I like to use potato and crunchy cornmeal. The potato really helps it hold together and adds flavor. I make the potato and corn ahead of time to cut down on the day-of prep. The burgers of course get a lovely smoky flavor from the grill but the burgers are a bit on the fragile side so don't skip the foil. Pour the berries into a bowl. Mash with a potato masher. Measure it out. It should yield about 6 cups of mashed berries. Add the sugar and blueberries to a large pot. Prep jars/lids for canning. Cook the sugar and blueberries to a boil. Boil for about 10-15 minutes. Stir in the pectin. Continue cooking at a low (rolling) boil for 5 minutes. Stir in the vinegar and pepper. Fill the jars. Process in the hot water bath for 10 minutes. I have to admit, I made this jam well over a year ago. I had lots of other things to post so I didn't share it then but over the year, I ate it and it was so good, I thought it was worth sharing. 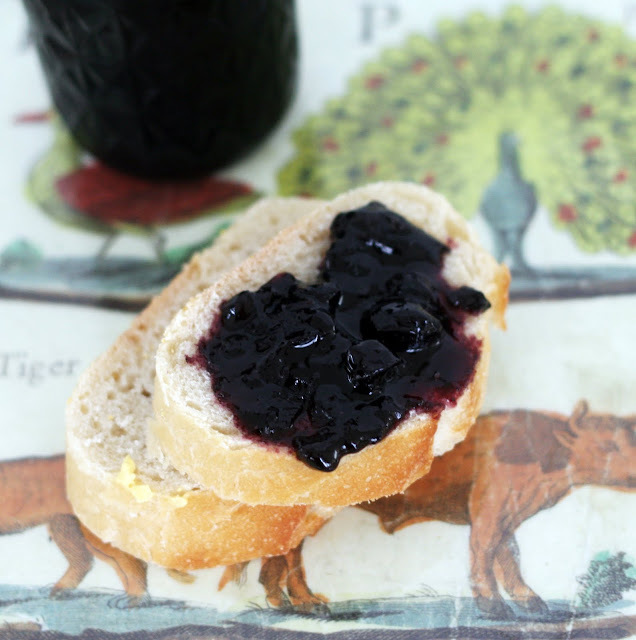 It is a beautiful inky blue-purple and the balsamic and pepper cuts the sweetness just enough. 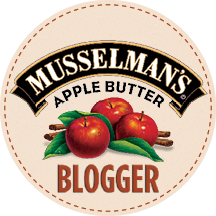 It lends itself well to both sweet and savory uses. I've slathered it on bread, in pies and even over meat. Prep your grill. Drizzle group 1 with a bit of olive oil. 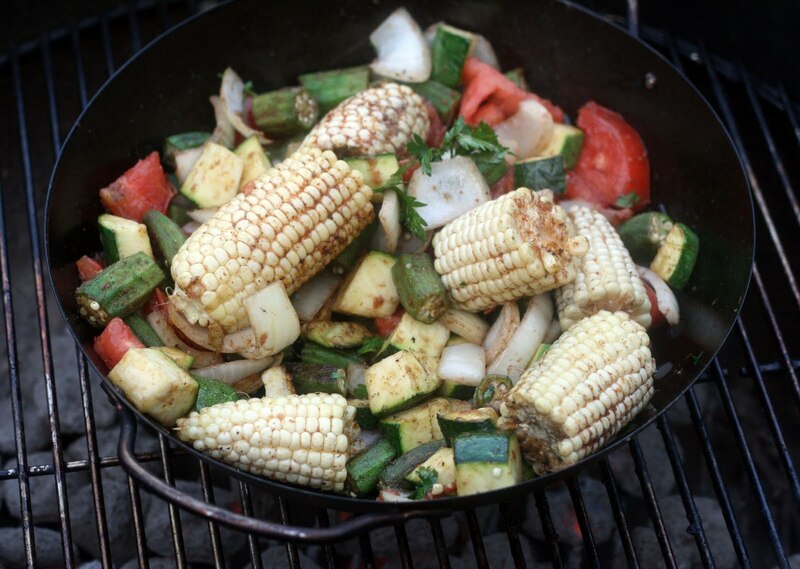 Add the ingredients from group 1 to a grill wok. Cook, tossing occasionally, until cooked through but still crisp. Remove to a covered bowl or dutch oven. Drizzle group 2 with olive oil. Add the ingredients of group 2 to the wok. Toss until fully cooked. Add to the bowl, toss all ingredients together. Serve as-is or over cooked rice. This was so good and fresh tasting! 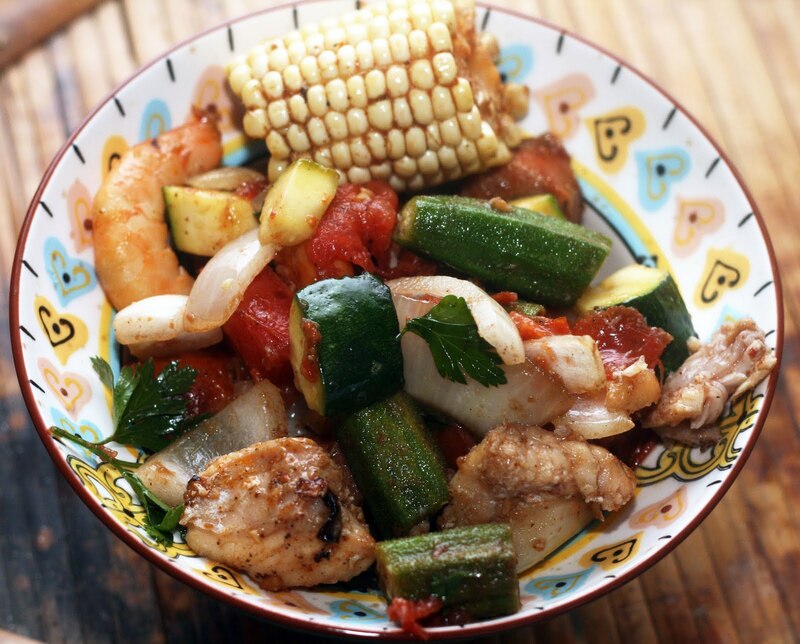 I love that some of my favorite vegetables are finally coming into season and I always love shrimp and catfish. 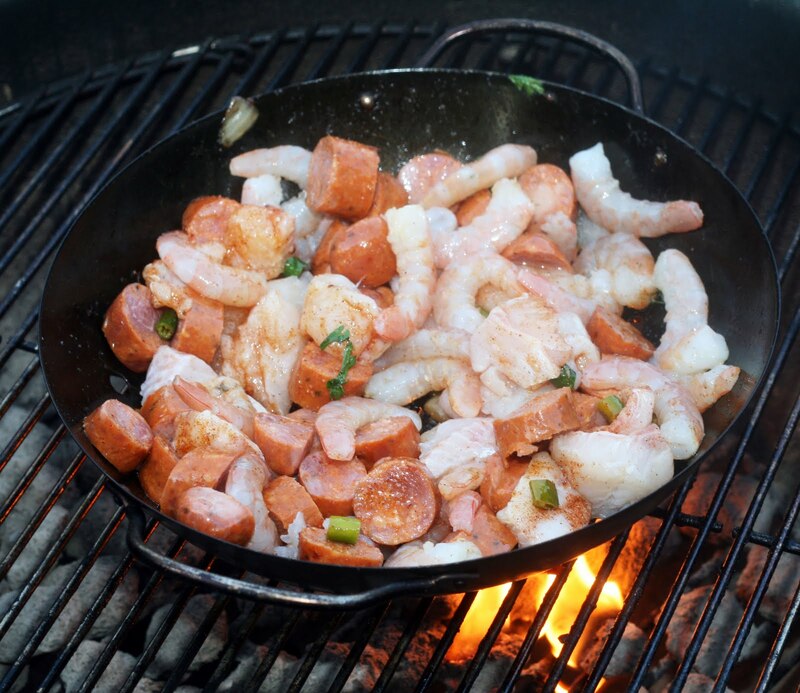 I've been extra interested and inspired by Cajun and Creole cooking lately because I am taking a short trip to NOLA next month for the food bloggers conference. I'm heading down early so I can try some local foods on my own. Can't wait! Anyway, I can't help myself from making spicy, Southern food lately. I hope you enjoy it as much as I do! Note: If you had a really, really big grill and two grill woks you could probably cook this all at once but honestly, the seafood cooks so quickly, the vegetables didn't have a chance of getting cold before I served it. I don't recommend tossing them all into the same grill pan, it is harder to make sure everything is fully cooked when it is very full and everything cooks at slightly different times. Soak the tomato slices in the buttermilk for 30 minutes. Meanwhile, heat about a 1/2 inch of oil in a 12 inch cast iron skillet. Beat the eggs and a few drops of hot sauce in a shallow bowl. Pour the instant flour in a separate shallow bowl. Pour the cornmeal and Old Bay in a third shallow bowl and stir to combine. Dip both sides of each tomato slice in the flour, then the egg, then a cornmeal mixture. Fry until golden brown on both sides, flipping once, about 5-8 minutes. Drain on paper towel lined plates. Serve immediately. I wish it was tomato season here in Baltimore but we are not quite there. My plants are about five feet tall (monsters!) but all of the tomatoes are still green. Ripening, but green. 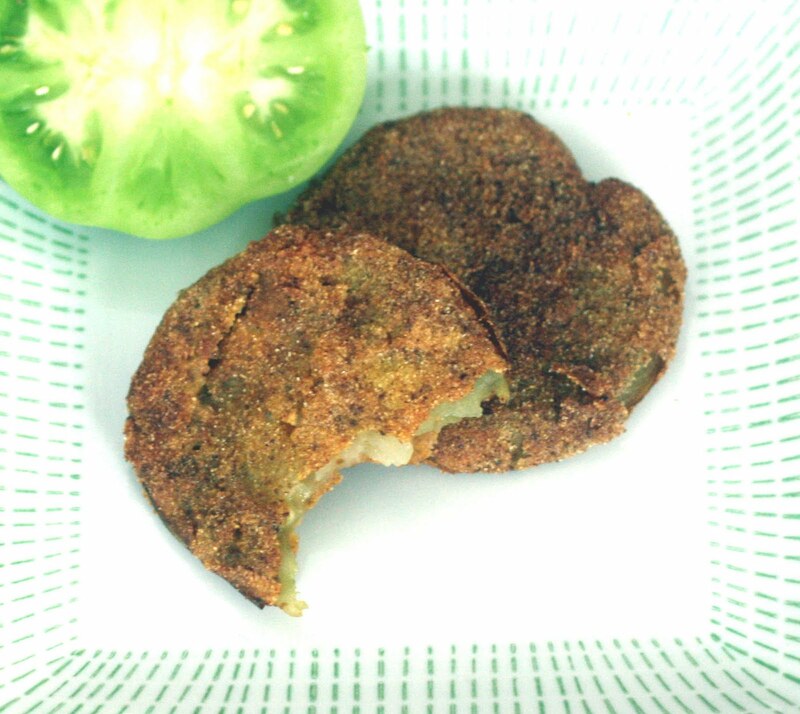 Normally I made fried green tomatoes at the end of the season out of tomatoes that didn't ripen but I saw some lovely, large, perfectly round tomatoes at the farm store and snatched them up. Of course, I could have used my homegrown ones but I planted 10 different heirloom varieties and I want nothing to stop me from trying each one. I put a bit of a Baltimore twist on these tomatoes and added my favorite Old Bay. 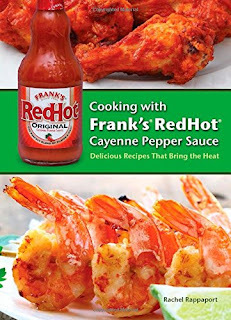 I liked it a lot because it added spice without being hot and made the tomatoes go well with seafood and Southern style food. Yum. Lightly bruise the sage and place it into a tea ball. Place everything in a heavy bottomed pot. Stir. Bring to a boil. 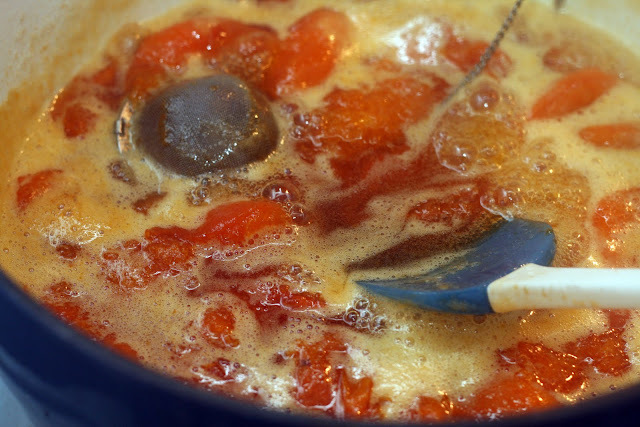 Reduce heat slightly and cook until thick, stirring occasionally and smashing up the apricots with the back of your spoon. Pour into prepared jars leaving 1/4 inch headspace. Process in a boiling water bath for 10 minutes. 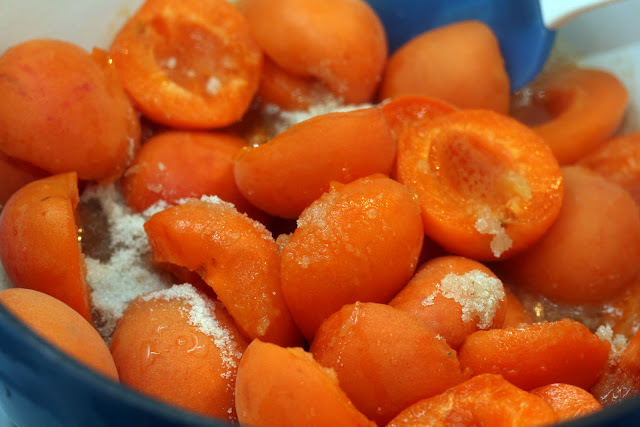 Apricots are a lot of fun to can because you don't have to peel them. I just pulled them in half, popped out the pit and that was the whole prep. It only took about 5 minutes to go from whole fruit to cooking on the stove. I have a ton of fresh sage growing in our new herb garden so I thought I'd put some in. 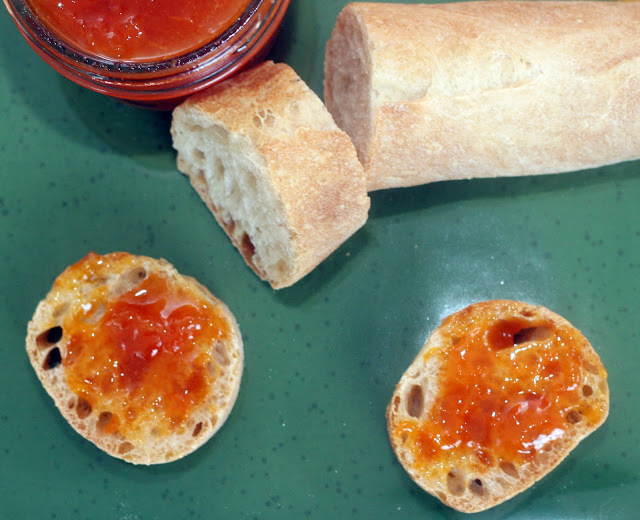 It's pungent savoriness contrasts nicely with the super sweet, fragrant apricots I used. Yum! I can't wait to try it in both sweet and savory recipes. Matt said it was so good, I can't give any jars of it away! Stir together the spice rub ingredients. Rub the turkey on all sides with it. Prep your grill. 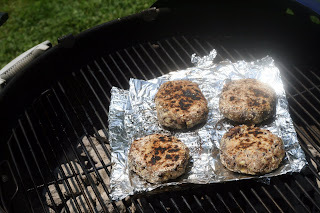 Place a foil tray filled with water in the grill. Arrange the coals around the tray. Place the turkey over the pan and cook slow and low for about 40 minutes or until fully cooked. 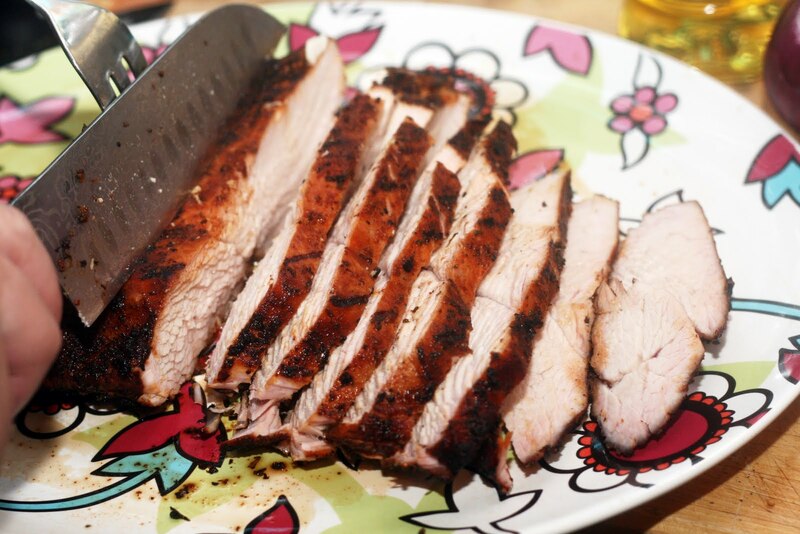 Allow to sit for a minute before slicing. *The one I have was labeled "turkey for London broil" but I'd think any boneless turkey breast would work. We eat a fair amount of turkey. I think it is a bit more flavorful then chicken and if done correctly, juicier. It used to be difficult to find turkey outside of November-December but lately I've been noticing it year round and in all sorts of different cuts. I really liked this one because it wasn't so gigantic we'd be eating the leftovers for days but it was substantial enough to grill. The spices really sealed in the juices and gave it a great flavor. Adding some wood chips to the coals for extra smokiness is an easy variation as well. Place the potatoes, celery, radish and onion in the large bowl. Pulse together the dressing ingredients in a food processor or blender. Drizzle the dressing over the potatoes and toss to coat. Chill 1 hour before serving if possible. I don't think you can ever have too many potato salad recipes. 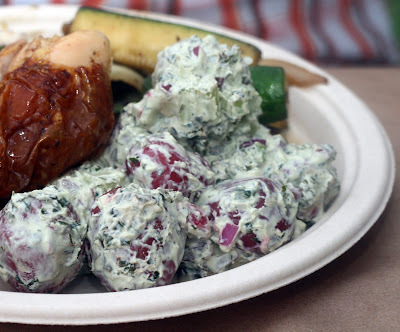 It is a common go-to dish for picnics but it seem like everyone I know has very specific potato salad needs. Some don't like mayo. Some love tons of mayo. Some only like the vinegar-y kind. Some like onions, some don't. The list goes on and on. Since potato salad is so simple to make and holds up well, it seems like I always have a new variation in the back of my mind. This one came about when we had some anti-mayo people over for a cook out and the basil in our new herb garden is out of control. Seriously out of control. We have one plant and even after making pesto using a 2 quart bowlful and this potato salad, it looks untouched. Luckily, basil is a pretty versatile herb and it worked well in this salad. If you don't want to pulse it into the yogurt you can just mince it really finely, just chop off any tough stems. Whisk together the glaze ingredients, set aside. Using a gentle hand, combine all of the burger ingredients. Form into 4 patties. Prep your grill. Grill one side of the burger, flip and brush with glaze. Continue to cook, adding more glaze as wanted/needed. I suggest serving it with thinly sliced red onion. *I made these by pulsing some leftover baguette in my Vita Mix. Okay, meatloaf is an unappealing word. It really is. Too bad meatloaf is so tasty. 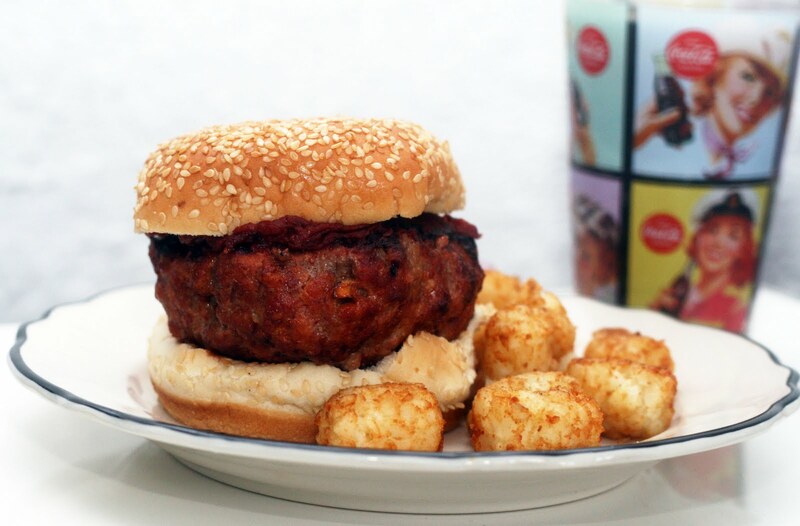 For this burger I used the classic meatloaf mixture of veal, beef and pork to make what I think are some of the most flavorful, meaty yet light burgers yet. They taste like the best meatloaf you've ever had but smoky and juicier. Everyone who had them raved over them and they were no more difficult to make than a regular burger. And, yes, I did serve them with grilled tater tots. I can't wait to make them again!